Agim Lleshi is the owner of A&B Construction. After working in construction for many years Agim created A&B to continue to achieve high standards for local building services across the greater London area. A&B provides all sorts of services related to building – whether its small interior decor work to entire new builds. Our approach and ethos is the same on every job. We are professional, fast, tidy and deliver a quality product every single time. If a job is worth doing, it’s worth doing well. We do not have a “buy cheap, buy twice” approach. The prices we charge are competitive but reflect our professional expertise and workmanship that will last and last. A & B London Construction is an honest business. We are dedicated to providing optimum quality workmanship on every single job that we undertake. If there are ever any queries or problems, we make it our priority to resolve them in the shortest time possible and with the least amount of inconvenience to our customers. 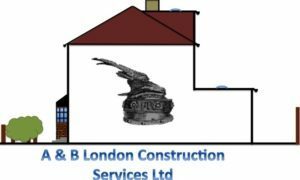 With our experience and knowledge of the industry, A & B London Construction are a company that you can trust. We always take great pride in our clients’ satisfaction, and are totally committed to meeting and even exceeding your expectations. A & B London Construction Limited serves the Greater London areas including Barking, Dagenham, Barnet, Bexley, Brent, Bromley, Camden, Croydon, Ealing, Enfield, Greenwich, Hackney, Hammersmith and Fulham, Haringey, Harrow, Havering, Hillingdon, Hounslow, Islington, Kensington, Chelsea, Kingston upon Thames, Lambeth, Lewisham, City of London, Merton, Newham, Redbridge, Richmond upon Thames, Southwark, Sutton, Tower Hamlets, Waltham Forest, Wandsworth and Westminster.